Collaborate, litigate, mitigate. How do architects use contracts? Contracts and associated legal issues are not remote to the architectural profession. Among respondents to the latest NBS ­National Construction Contracts and Law survey, three quarters administer construction contracts, and most are involved in preparing them or providing advice and guidance. When differences arise between those involved in a project, they can be resolved using a range of means without escalating to dispute. Architects frequently turn to these: more than half carry out negotiation at site level, over a third look to expert advice and mediation or negotiation at board level, and 14% turn to a dispute adjudication board. However, such efforts do not always succeed. While almost two thirds of architects had no dispute in the last 12 months (compared 56% among all respondents), one third did (though most of these had only one). It is disappointing to see that the number of disputes has not reduced over the three years we have been running this survey. Indeed, architects are much more likely to say the figure is rising than falling, though most feel it is remaining the same. There are many reasons for dispute, but the most common are defective work, extension of time and valuation of the final account. Given the number of disputes, and the range of issues that cause them, it seems there is something adversarial about the construction sector. This thought is not new; the Egan and Latham reports clearly described it more than 20 years ago. The recommended remedy is collaboration, where responsibility, risk and reward are proportionately shared and collectively owned. With this approach the design team works more efficiently and it is often a better way to deliver client requirements. It may reduce or even eliminate disputes and their associated disruption and costs – the Olympics’ exemplary buildings and construction processes are a good examples of this. 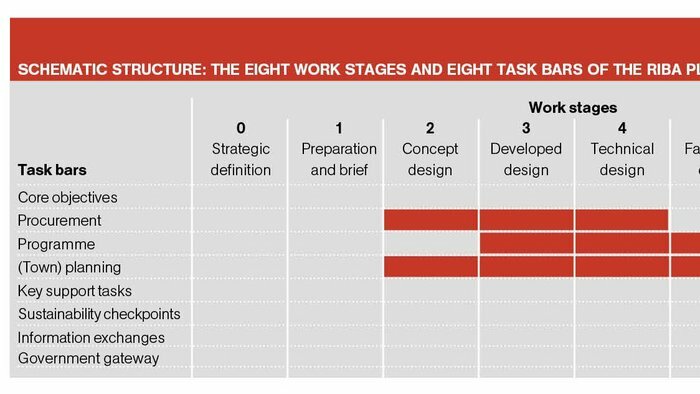 However, the survey found that most architects had not adopted any collaborative techniques in the past year, and only 14% collaborated on all projects. Collaboration among architects is lower than for consultants as a whole, and significantly lower than among contractors and clients. Collaboration is most commonly operated through a contract that includes the ethos of mutual trust and co-operation. Of those who collaborated, 60% did so in this way – though we might question whether the inclusion of ‘ethos’ in a contract is sufficient to delimit, maintain, and enforce collaboration through the life of a contract. A more structured approach was adopted by 38%, using a formal partnering agreement. The reasons for not collaborating reflect the variety of work in which architects are involved. Projects are often too small to warrant collaboration, or the client decides against it. However, there are other factors too. Architects tell us that parties may have different aims and objectives in a project, and over a fifth tell us that established divisions between professionals prevent collaboration. There are strong links between project type and size, the procurement method, and the contract selected. We found that 57% percent of architects used traditional procurement most often, and 32% favoured design and build. Only a few used other methods. This is reflected in the type of contract used; 73% had used JCT contracts in the past year, 28% had used the new RIBA contracts, 19% had used NEC contracts (typically for higher value collaborative projects). Bespoke contracts were used by 15%. Looking at the industry as a whole, we can see that the use of contracts that support collaborative working is increasing year on year. This leads us to the government’s construction strategy, at the heart of which is collaborative working, supported by BIM. This year will see all government-funded construction projects start to require 3D collaborative BIM, irrespective of size. BIM provides the tools for better collaboration, because it provides the shared information environment in which a clear description of who is responsible for what, and when is held. It can show how the responsibilities of construction team members are integrated with, and depend on, one another. It was agreed by 46% that BIM aids collaborative projects: only 9% disagreed. Given the centrality BIM to future working, we explored where, contractually, BIM currently sits. We found that in the last 12 months, only a minority had included BIM in any form in contracts – yet those who had were clear on its importance, with 69% telling us that ‘we recognise a BIM model as contractually binding, in the same way as specifications or drawings’. This suggests there is work for the lawyers; BIM’s central role will increasingly need to be mirrored in contracts. This year we move to Level 2 BIM; in the coming years there is an impetus for Level 3. The problems of adversarial, non-collaborative ways of working can be resolved in a new way. As we move to a fully digitised, collaborative working this will increasingly need to take place within a fit-for-purpose legal and contractual framework.